CakeHR's flexible "Group" setup allows you to configure permissions exactly as you need. 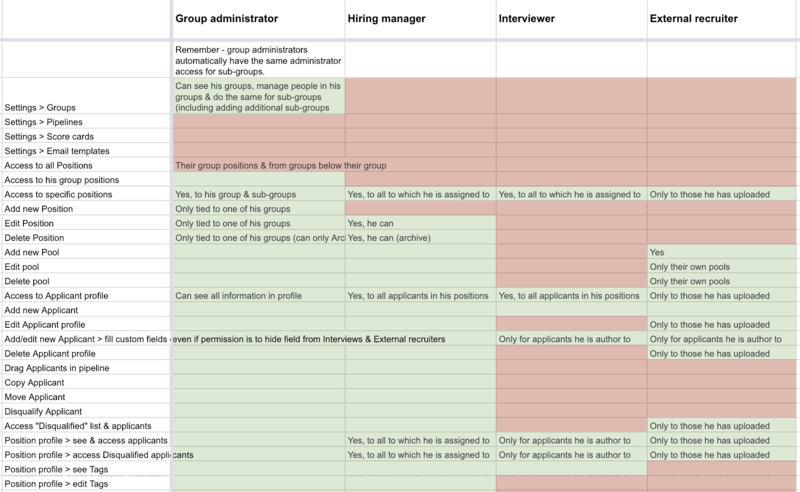 Each group can be nested under other group & this way allowing to set up a hierarchical structure of permissions. Can only see the specific jobs they are helping to recruit for. They can only see applicants who they themselves have uploaded to the account (i.e. they cannot see applicants who apply through a job board or careers page). External recruiters can see a applicants Timeline and perform some basic actions. They cannot evaluate candidates (score cards) or see score card evaluations from the internal team.